The Franklin and Sterling (Ogdensburg) zinc deposits have been studied by mineralogists, geologists, and geochemists for more than 200 years. Much has been learned over that long span of time, but such is the complexity of these deposits that only recently has accord been reached on even the general outlines of their genesis. With more than 360 different mineral species in the local area, many of them appearing in multiple assemblages, even the descriptive aspects of the deposits are still woefully incomplete. Major mineral groups (pyroxenes, amphiboles, feldspars, micas, serpentines) remain in need of modern study, and both deposits have yet to have a detailed geologic map made of the exposed rock units. Part of the Franklin Mineral Museum’s mission is to foster research on these deposits to help deepen our understanding and appreciation of them. To that end we encourage university students, professors, industry scientists, knowledgeable collectors, and others to join us in the never-ending quest for knowledge about two of the most complicated mineral deposits on Earth. Review this short list of some obvious avenues for research, but these just barely scratch the surface. Prospective researchers are asked to contact the museum curator, Dr. Earl Verbeek (973-827-6671), to discuss their proposed research and explore opportunities for cooperation and potential museum support. The Museum houses thousands of specimens of the local minerals and routinely furnishes materials for chemical and isotopic analyses to qualified researchers. Nearly all of its specimens are numbered and entered into a searchable database. Petrographic microscopes and stereo zoom microscopes are available for mineralogical study. Immediately at hand are experts on the local geology, plus knowledgeable mineral enthusiasts who among them possess more than 200 years of experience in identifying the local minerals. On occasion the Museum provides funds to support research. Grants are usually small, between $500 and $2,000, and closely targeted to a subject of particularly strong local interest. Recent examples include funds for critical age determinations of rocks, and funds for isotopic studies. The Museum can assist prospective researchers in finding housing for temporary stays and procuring the routine items necessary for work away from home. 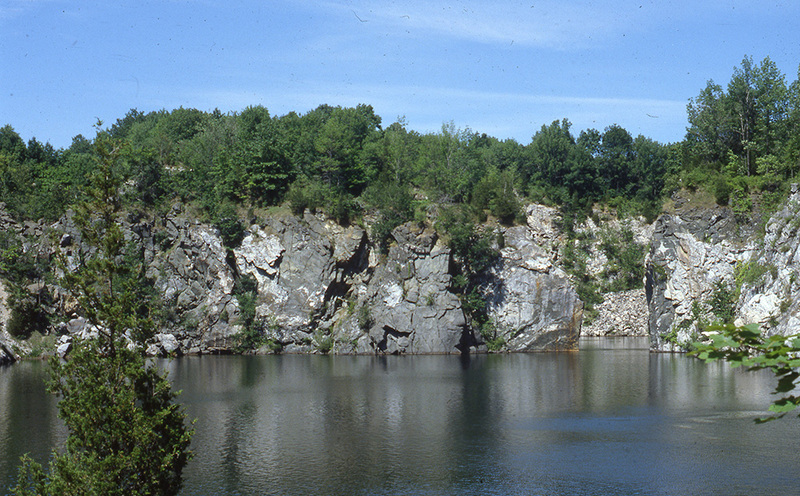 Normal requirements for research support through the FMM are that copies of all research data be supplied to the Museum for its scientific files, and that a summary of the research findings be published in The Picking Table, the journal of the Franklin-Ogdensburg Mineralogical Society.